Thor Collection: Here With a Splash... of Color! Never a dull moment. That is Thor. They come to the table time and again and always seem to add some zest to the market wherever they show up. 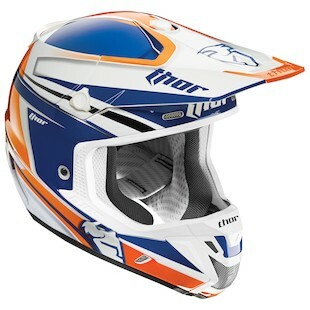 With the new line of the time tested and true Thor Verge Helmet now hitting the market for Fall of 2014, a whole new set of colors, designs, and attitudes can be found throughout. 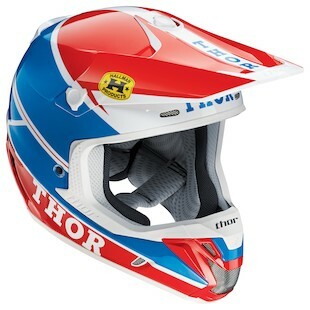 Starting off the new graphics is the Thor Verge Pro-GP Helmet. Coming in Blue/Red, Red/Black, and Yellow/Black colors, the Verge Pro-GP is loud enough to make a statement, but not overly wild. With orderly lines and firm block lettering of the Thor name, this helmet feels in control, timeless, and refined. 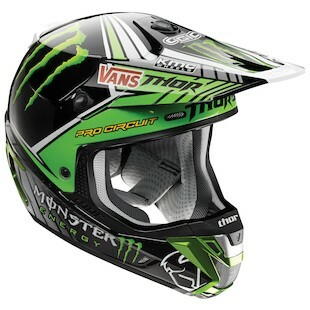 Taking from the close relationship that Thor has with Monster, the Thor Verge Pro Circuit Monster Energy Helmet really plays to fans of the energy drink. With the Monster logo prominently displayed throughout and an unmistakable color scheme to match the brand image, there is no way that people won’t know what team you ride for in this helmet. 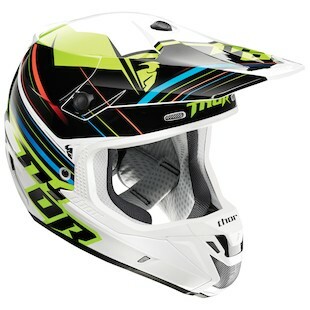 With a more subdued color scheme and muted tones, the Thor Verge Corner Helmet is the quietest of the bunch. 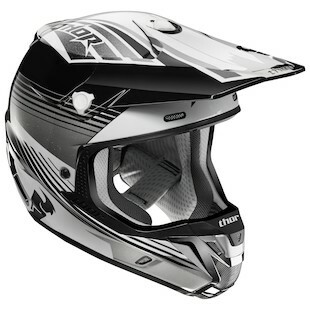 With a color pallet closer to that of the Klim brand, these helmets are more subtle. If you are a rider who likes to wait quietly and let your bike do the talking, this would be the Thor Verge helmet for you. Jumping back into the Thor that we all know, the new Thor Verge Stack Helmet combines the choppy edges and stark contrasts that we have come to expect. It is kind of like a 70’s video game arcade. The lines of this helmet are more wild in nature; unabashed and somewhat random in design. It gives it a sense of lack of control… in the best of ways. If you were fan of Denver football throughout the 80’s you will have a great appreciation for the Thor Verge Flex Helmet. With a Navy/Orange color scheme reminiscent of the John Elway era, this helmet is a little more visually hectic than the rest. Also coming in Red/Silver for a more aggressive look, this helmet offers a lot of great features for an additional option in the Thor line. In the end, the new set of graphics coming in from Thor for their hugely popular Verge Helmet are going to be fun to watch over the next year while they permeate the system. For creativity, noticeability, and adventurous design, check out the 2015 Thor Collection.